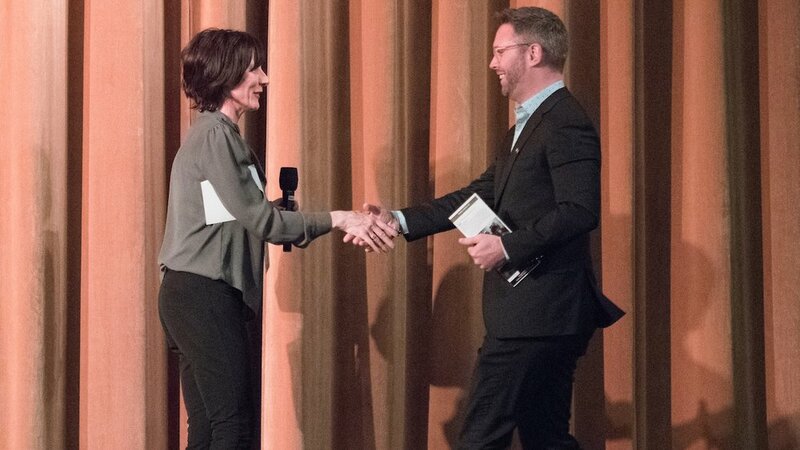 Dawn Morrissey presents award for Most Inspiring Short to Director Paul Horan, Bless Me Father. 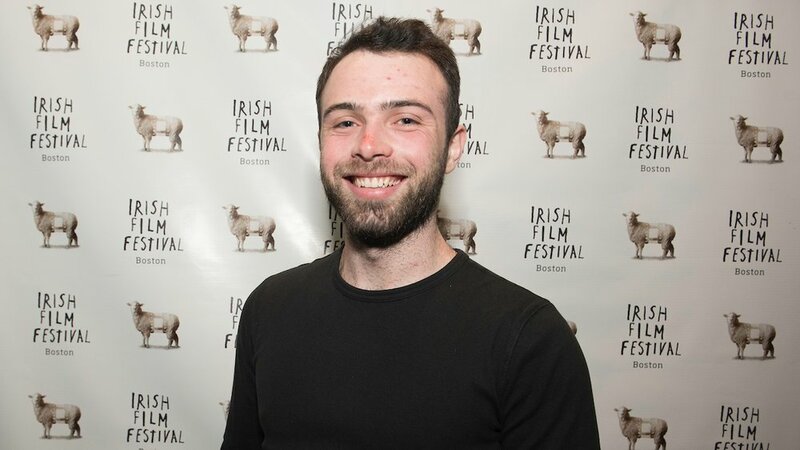 Eamonn Murphy, Director, Lost Memories (Director's Choice Short Award Winner 2018) and Shane Cahill, Deputy Consulate General of Ireland. Clover makes a special appearance in Davis Square. Song of the Sea, Children’s screening sponsored by The Family Backpack. The Farthest: Post-screening discussion on the intersection of science and storytelling. Q&A following screening of It’s Not Yet Dark: Ruth Fitzmaurice, Author, I Found My Tribe, and Colette O'Neill, ALS Therapy Development Institute. Ruth Fitzmaurice, Author, I Found My Tribe, and Colette O'Neill, ALS Therapy Development Institute. Noel Hill joins in our closing night session at The Burren.